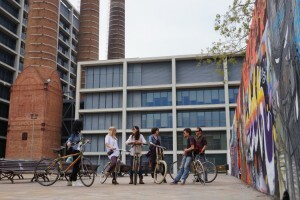 Barcelona was known as a city at the epicenter of a bustling lively organic Street Art scene in the mid 2000s. 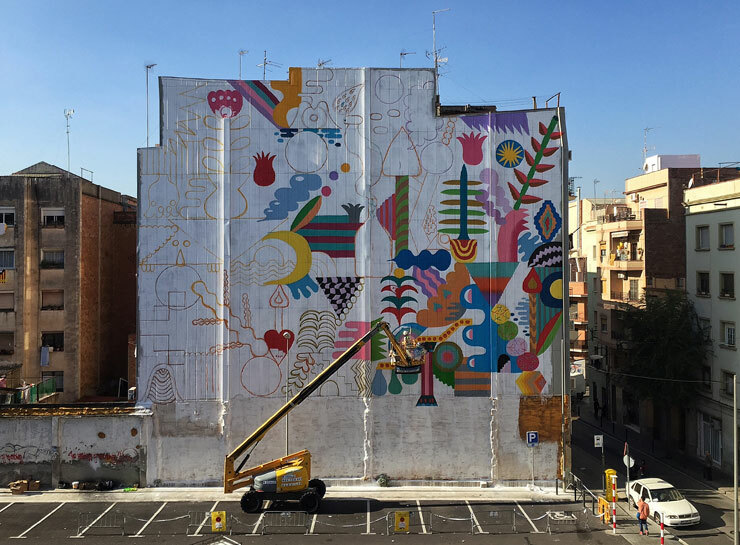 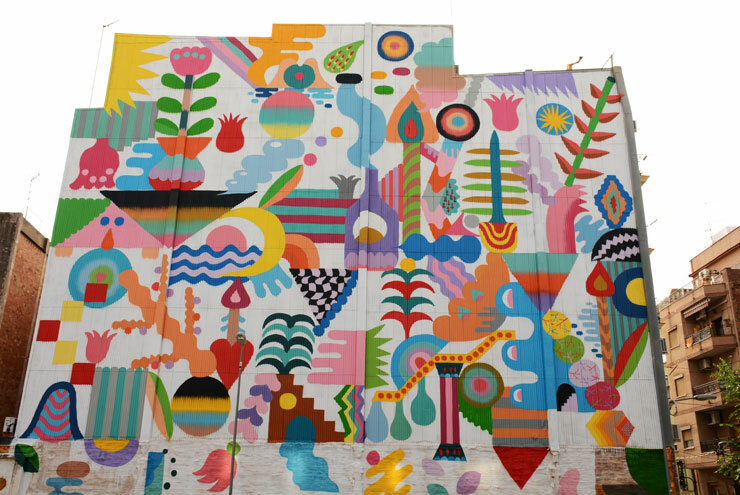 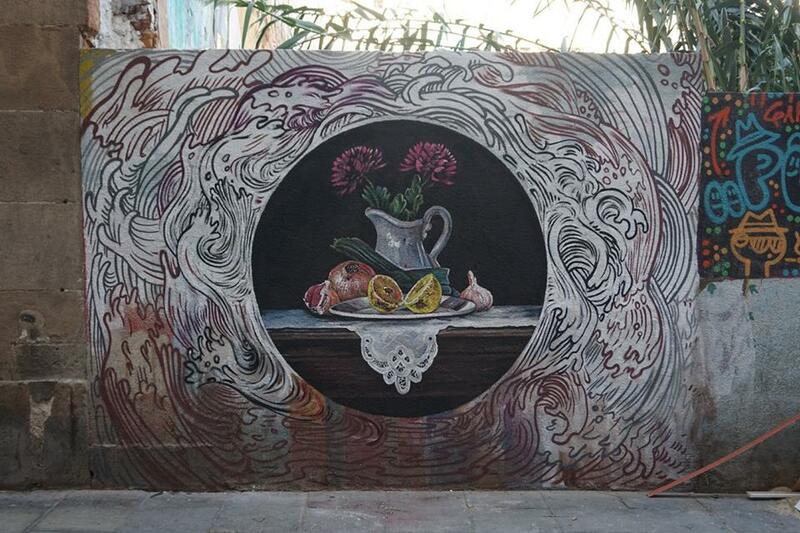 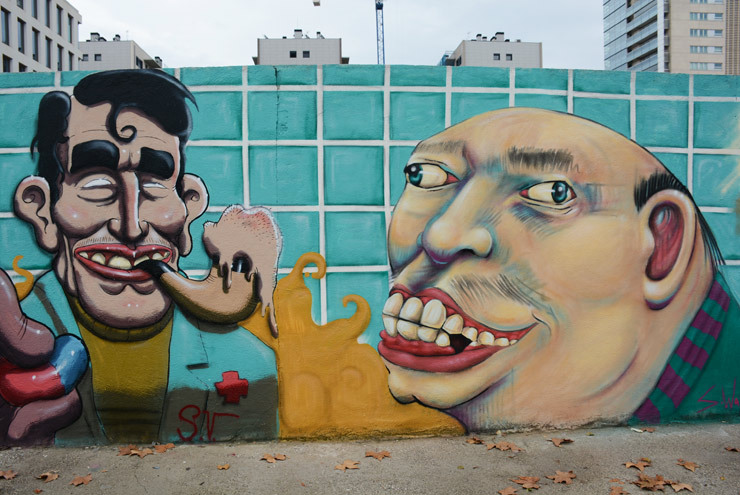 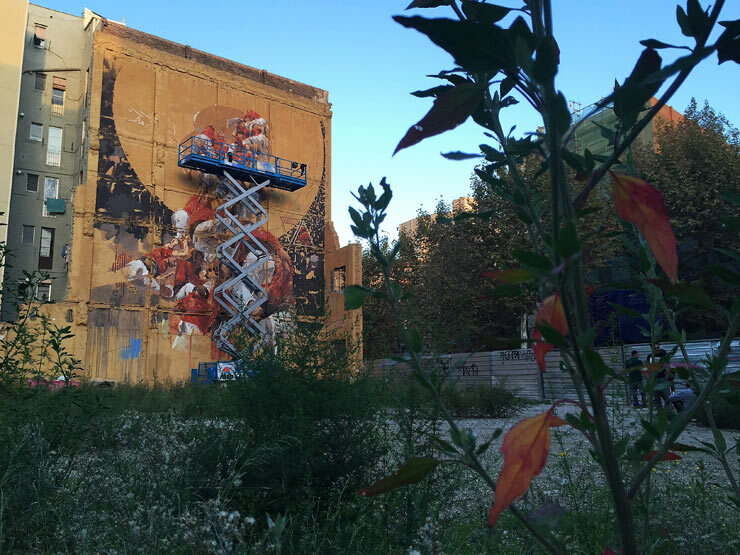 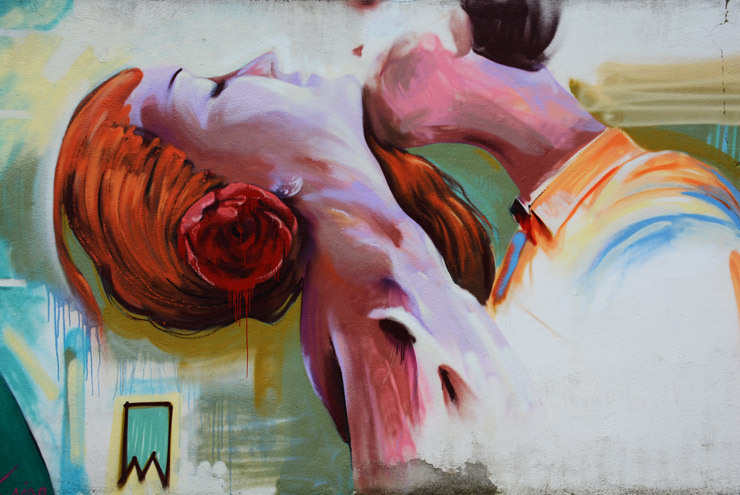 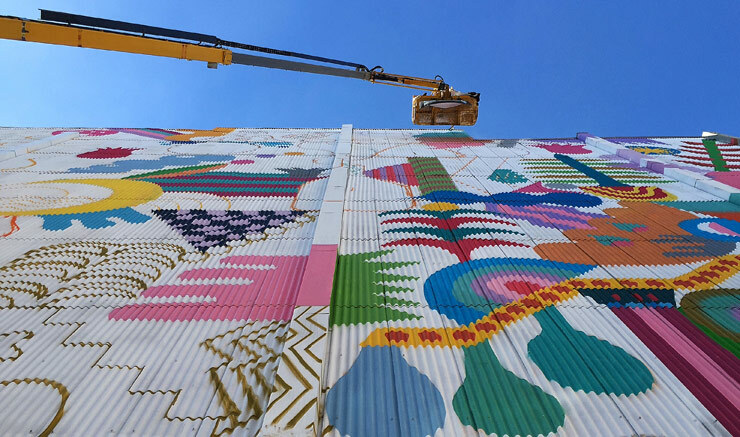 Today that has greatly been cracked down upon by authorities but the Spanish city now boasts a mural festival called Open Walls Conference, which celebrated its third edition last month with public works spanning a great number of influences and styles. 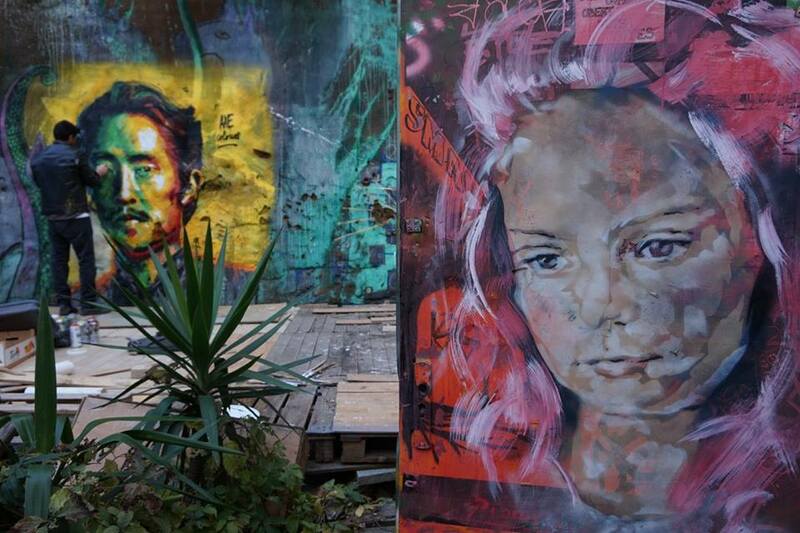 Of course there is still plenty of autonomous unpermissioned Street Art to be seen as well. 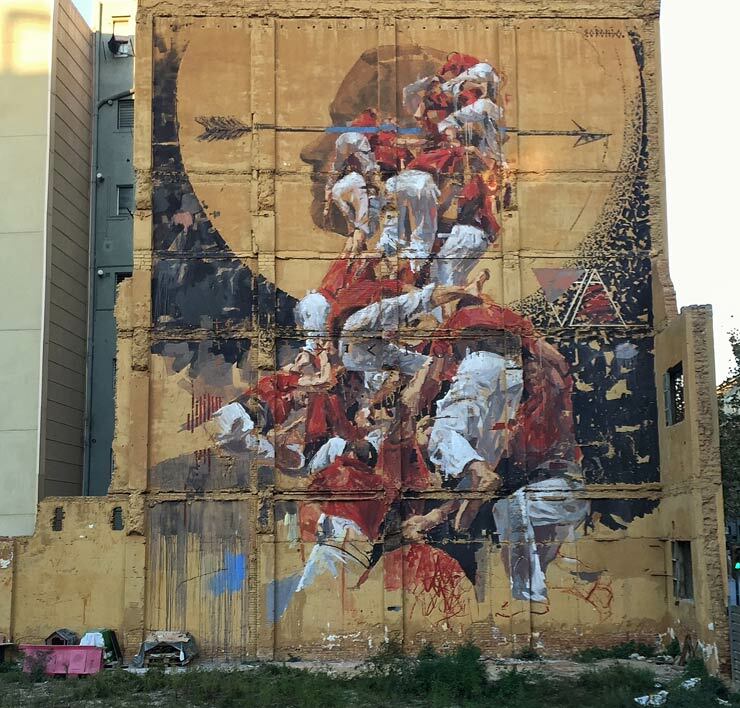 This years’ interventions included new large format walls from Roc Blackblock, Ethos, Borondo, Zosen and Mina Hamada, and Mohamed Lghacham. 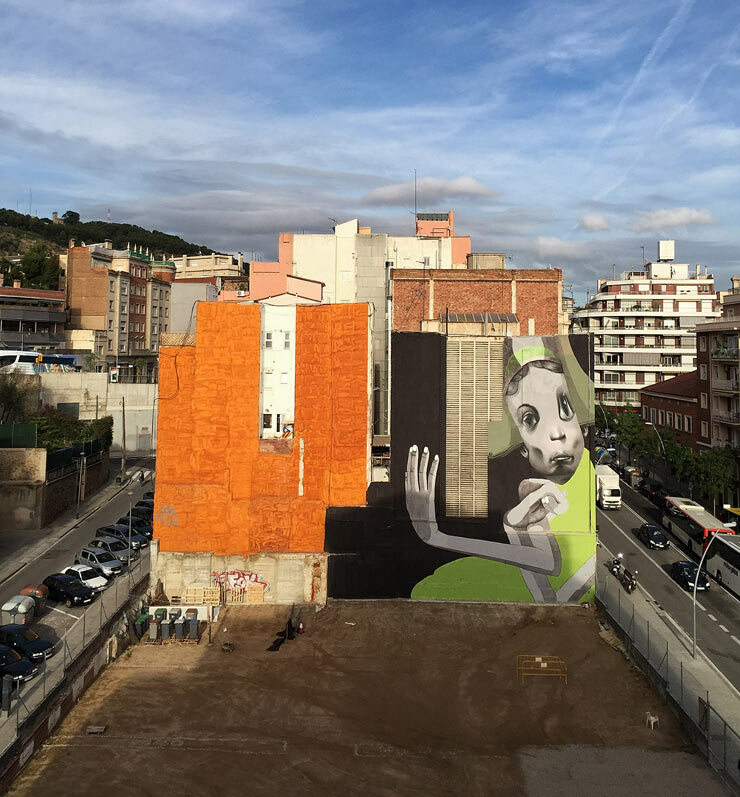 Site specific walls included works by BYG, Enric Font, Sav45, Rubicon, Tayone, and Reskate Studio with Marina Capdevila and Amaia Arrazola. 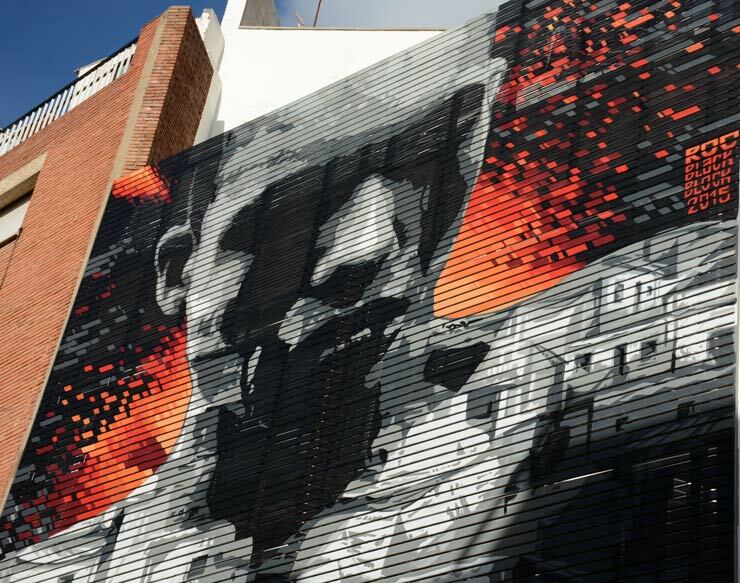 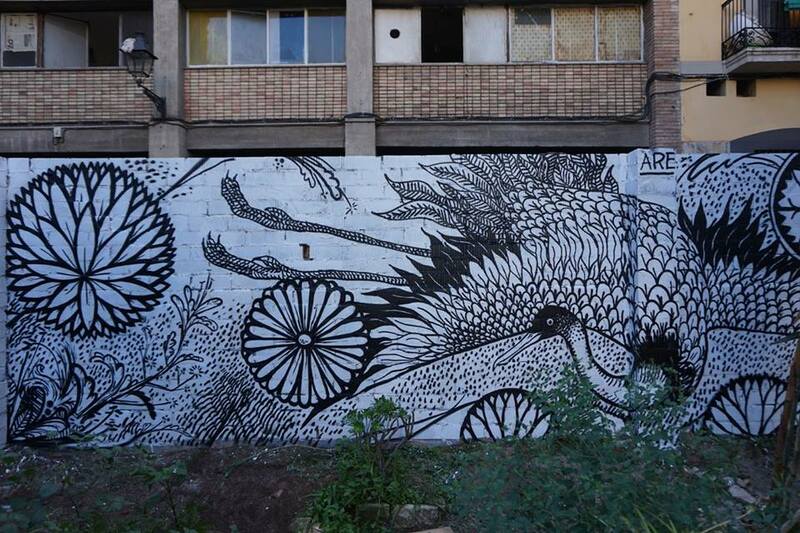 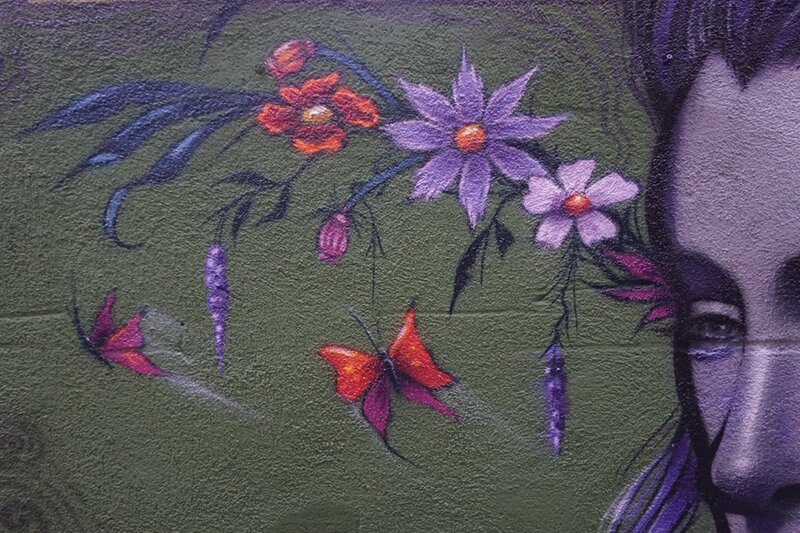 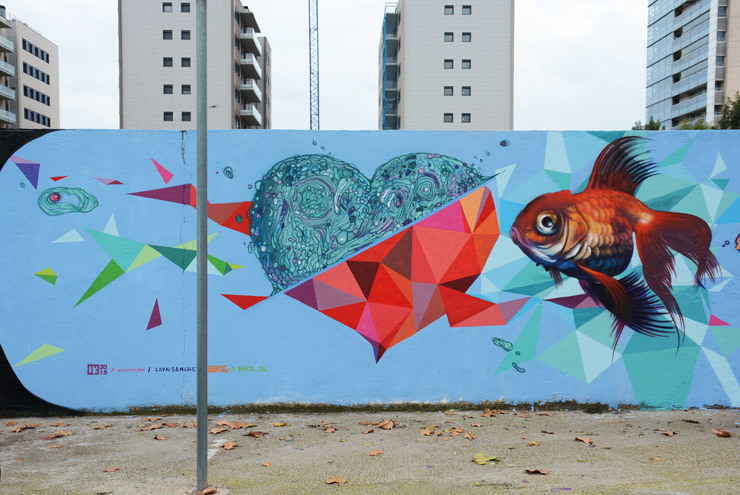 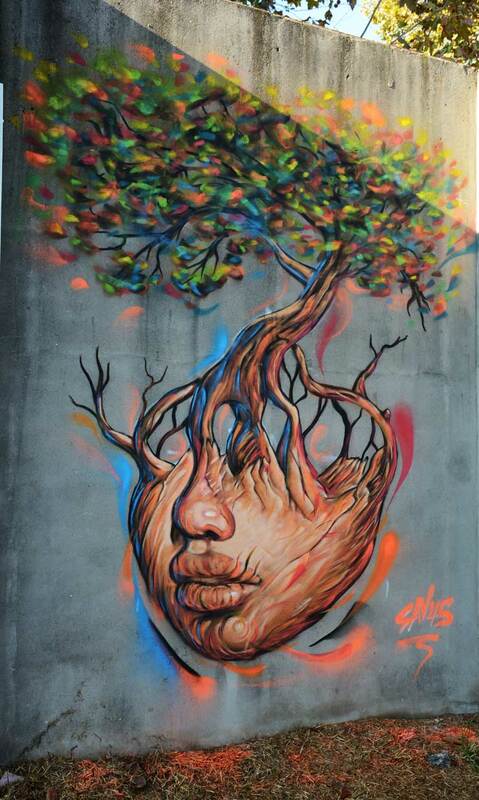 Open Walls 2015 also featured a conference with speakers, debates, tours and workshops that expand the discussion of art in the urban environment beyond typical Street Art and graffiti fare. 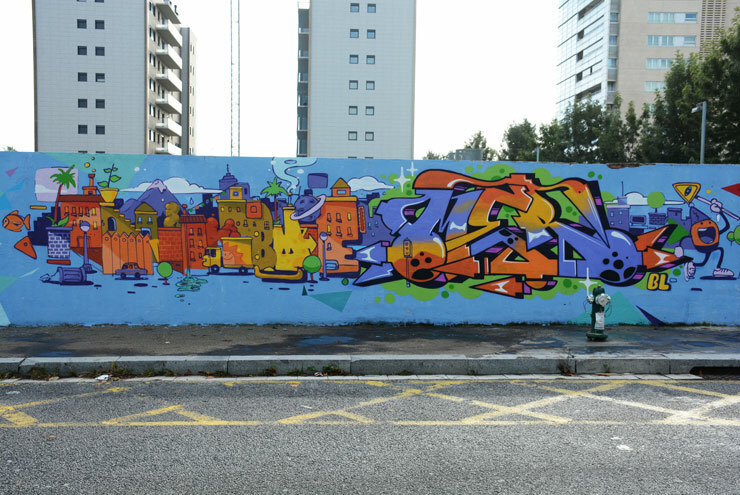 The academic and institutional world is gradually grappling with bigger questions around urban planning and public space as it pertains to art in the streets and formal art teaching is still broadening its consideration of an artist movement that started quite outside its purview. 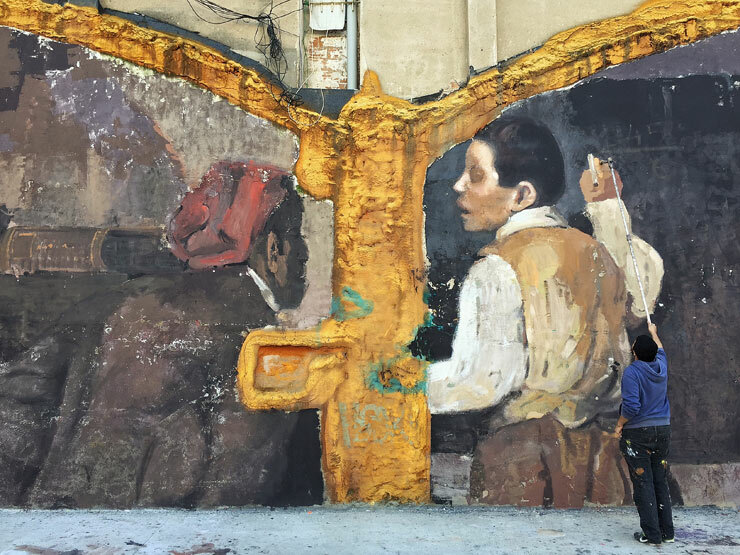 Invited speakers included photographer Martha Cooper, graffiti artist and historian Jay Edlin, RJ Rushmore of Vandalog, Sergi Díaz (ICUB), representatives of the Madrid Street Art Project, philosopher Gabriela Berti, art historian Will Shank, and conservator Rosa Senserrich. 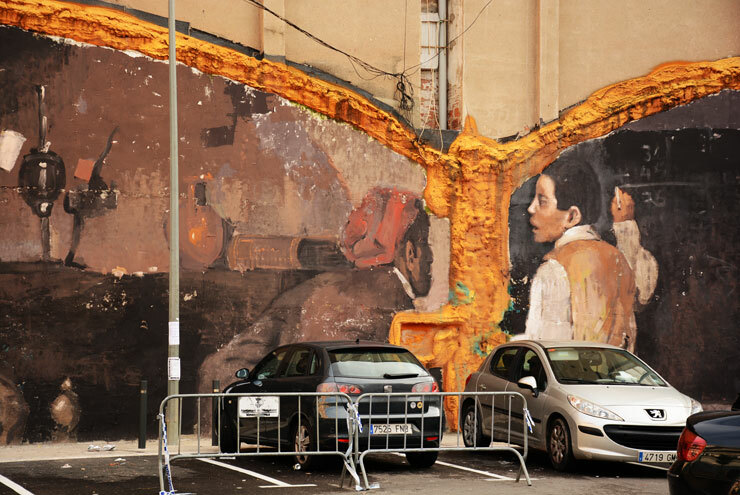 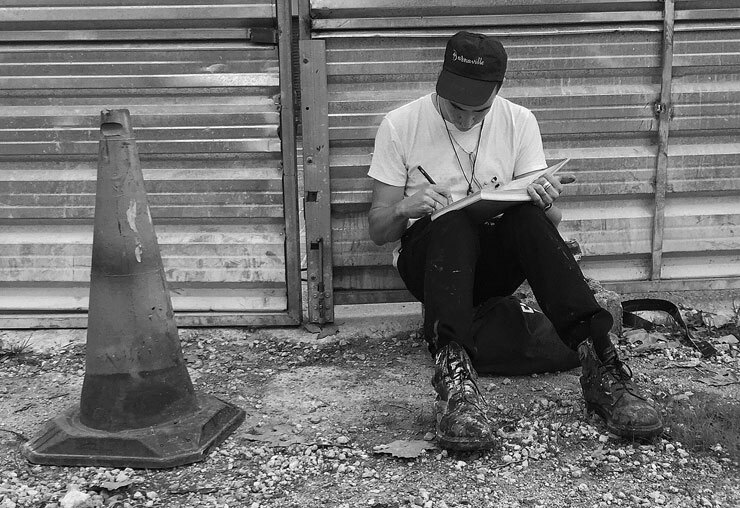 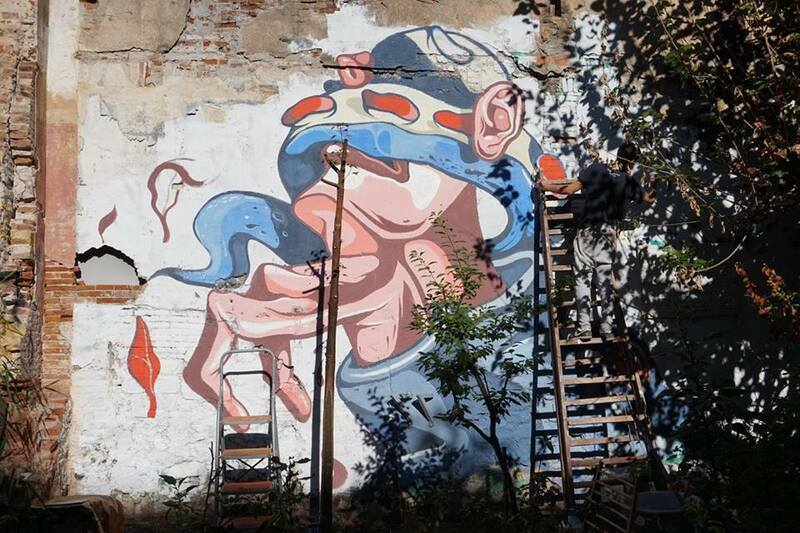 The international and multidisciplinary program of professionals addressed issues regarding documentation, conservation, restoration, the history of Street Art, and its evolving role in the urban experience. 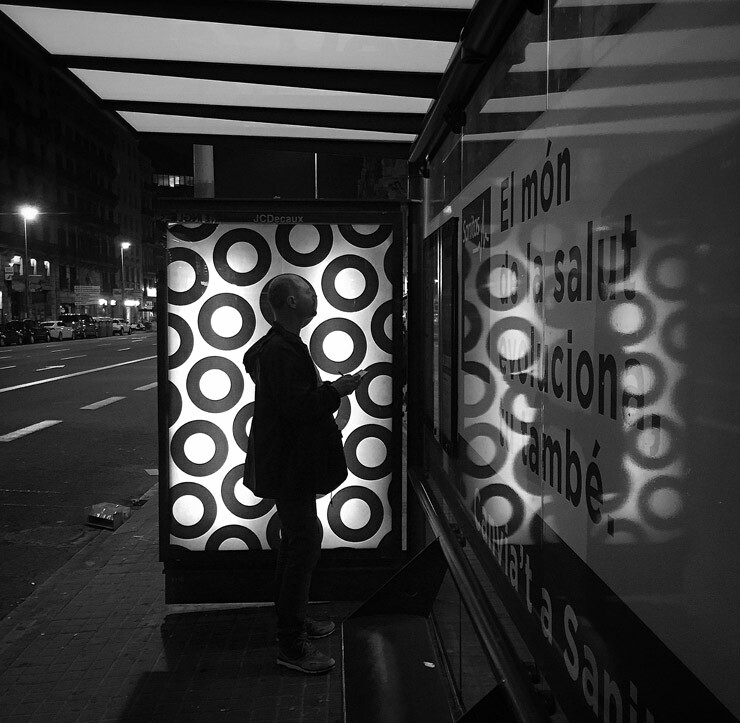 Here are some images courtesy of the festival photographer Fernando Alcalá Losa, Antoine Careil and of BSA contributor Lluis Olive Bulbena. 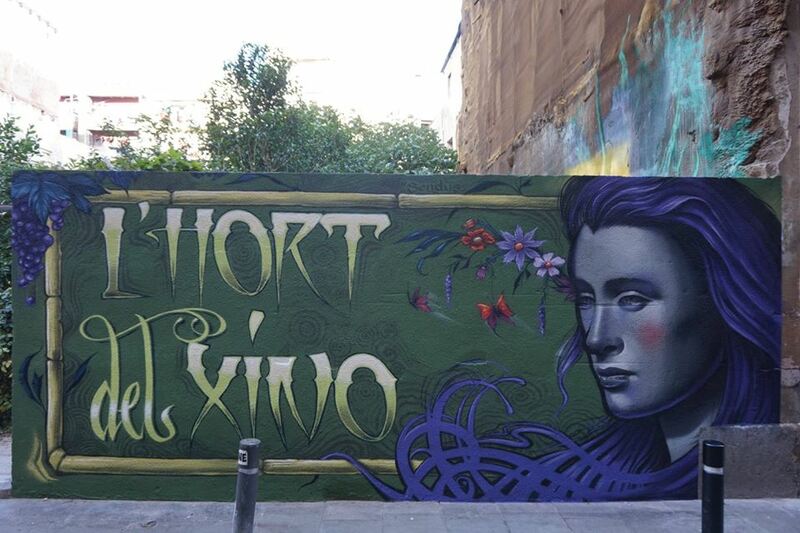 The closure party occured in the Hort del Xino (Raval), organized by Street Art Barcelona. 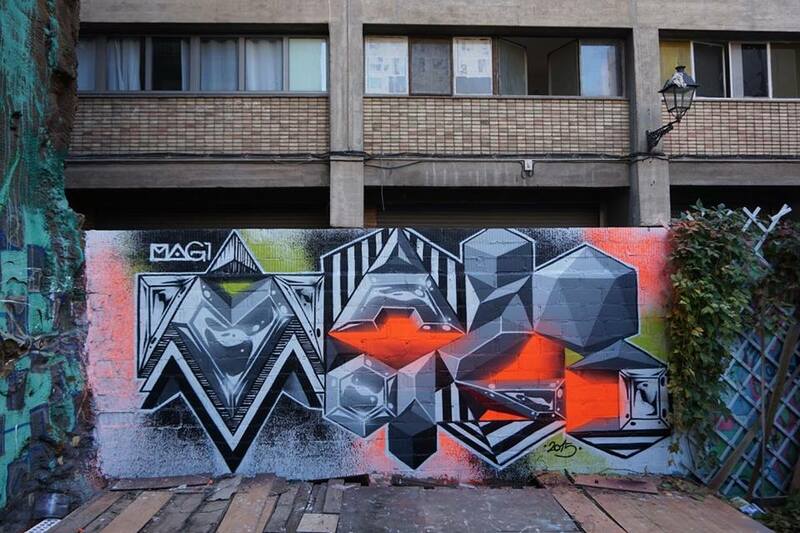 Here are some shots of the jam and the pieces made that day. 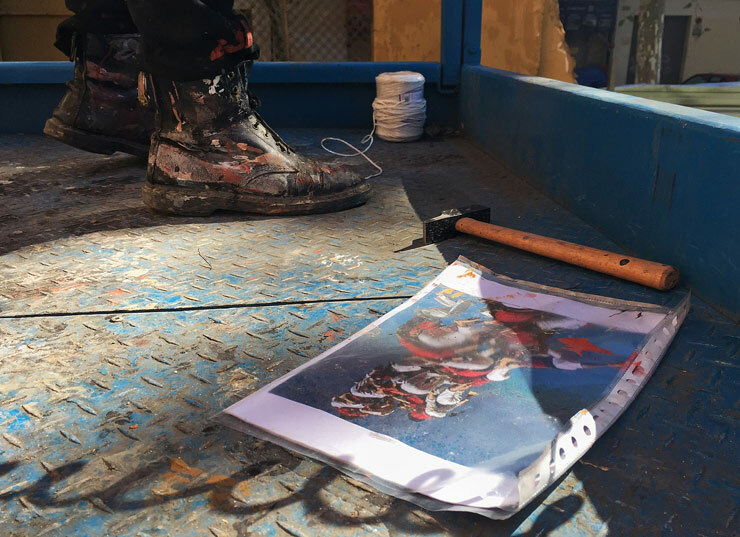 Boldly, the festival featured an open call to the first 20 respondents to paint a huge project together, effectively disarming any accusations of hierarchical favoritism or gate keeping. 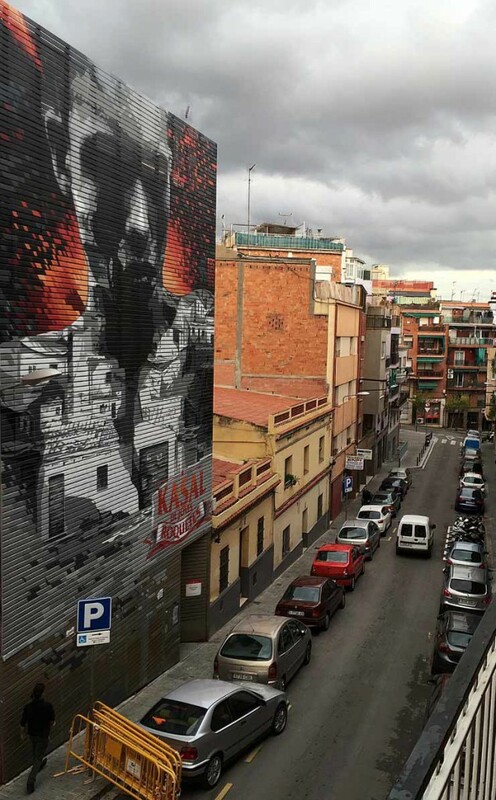 Posted in Blog and tagged street art, street art barcelona, street art bcn, streetart, streetartbcn, subagora, Urban Art, zosen.